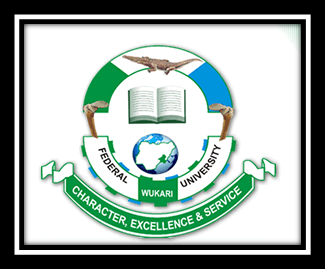 [Post UTME/DE] FUWUKARI Admission Screening Form for 2016/17 : Federal University Wukari, FUWUKARI admission screening exercise (for UTME and Direct Entry candidates) application form for the 2016/2017 academic session is out. FUWUKARI post UTME minimum cut-off mark is 180. The Management of Federal University Wukari (FUWUKARI) invites candidates who have chosen the university as their FIRST and SECOND CHOICES in UTME and DIRECT ENTRY and scored the required minimum national cut-off point of 180 and above for the 2017 UTME and merit and above for Direct Entry to the POST-UTME/DE screening. The exercise is scheduled to hold at the University’s permanent site, along Katsina-Ala Road, Wukari, on Thursday 15th, Friday 16th and Saturday 17th September, 2016 from 9:00 a.m. to 4:00 p.m. daily. The Post-UTME registration form can be downloaded from HERE. Candidates are advised to pay into ONLY designated bank account as in (1) above and avoid dealing with individuals, please. Holders of university-based diploma certificates need not apply. Present the teller and the print out from the bank to the Bursary Department/Treasury Division of F. U. Wukari for confirmation and issuance of receipt.